BeKrakow.com is one of the finest chauffeur companies in south of Poland…. a high quality transport company! BeKrakow.com is a company which has provided finest transport and transfer services for many years. Our fully licensed company offers high-quality service thanks to the Polish license to transport passengers, professional staff and modern cars. Cheap transfers always in your range. With our company you can arrange your Krakow, or Katowice airport transfer, as well as tours and custom services. For your comfort we offer tours and transfers as a door-to-door service. Our special offer allows you to do Auschwitz-Birkenau Tour and Wieliczka Salt Mine Tour just in one day, saving you time and money. BeKrakow.com is also the best way to do any Krakow Transfers. You can be sure that our experience and responsibility will make it happen. 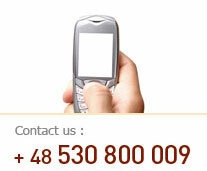 If you are searching for company that specialize in services like Krakow and Katowice transfers – try BeKrakow’s offer. Most of our customers choose Cracow Airport Transfers as this is the fastest way to get to the Balice Airport. Unfortunately some flights are not available at Balice Airport, so more convenient are Katowice airport transfers to Pyrzowice Airport. We also organize tours to known places like Oświęcim. Without polish characters it is “Oswiecim”, but international name is Auschwitz.